Simple STE(A)M (Science, Technology, Engineering, Arts, and Math) challenges involve young kids in exploration, inquiry, observation, making predictions, testing predictions, and formulating solutions to problems. Exposure to STEAM activities in early childhood will nurture the inquisitive nature inherent in young kids to support critical thinking skills. 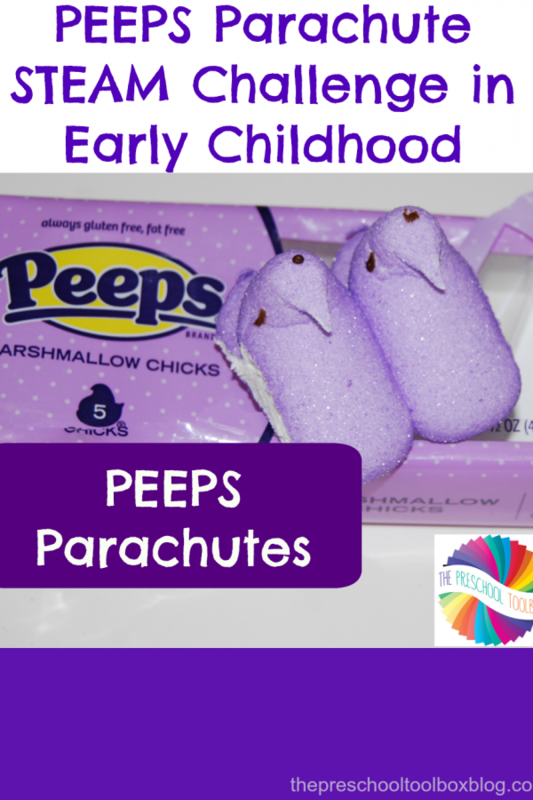 The PEEPS Parachute STE(A)M Challenge is a … [Read more...] about PEEPS Parachute STEM Challenge in Early Childhood! Parts of a Flower: Playful Learning Flower Centers for Preschoolers! Preschoolers are delighted by flowers that emerge during the spring. To encourage flower discoveries this spring, try the parts of a flower and playful learning flower suggestions for your own preschool discovery areas at home or in the classroom. 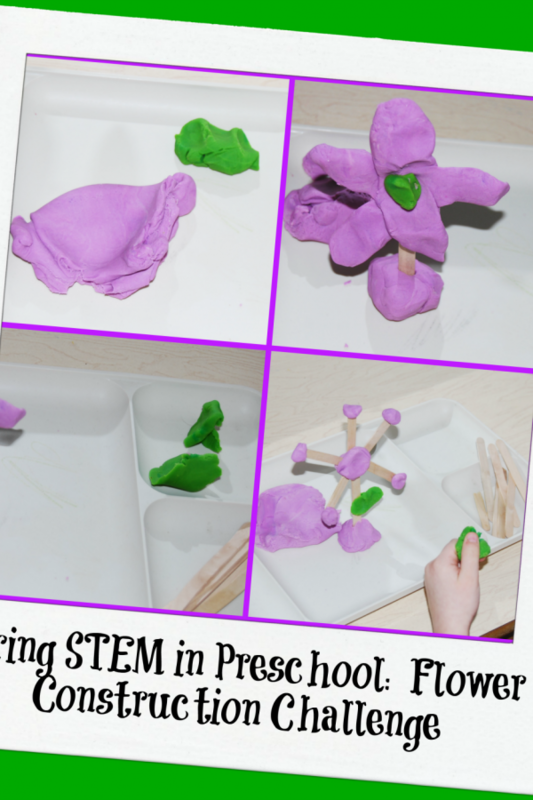 Parts of a Flower: Playful Learning Flower Centers for Preschoolers! 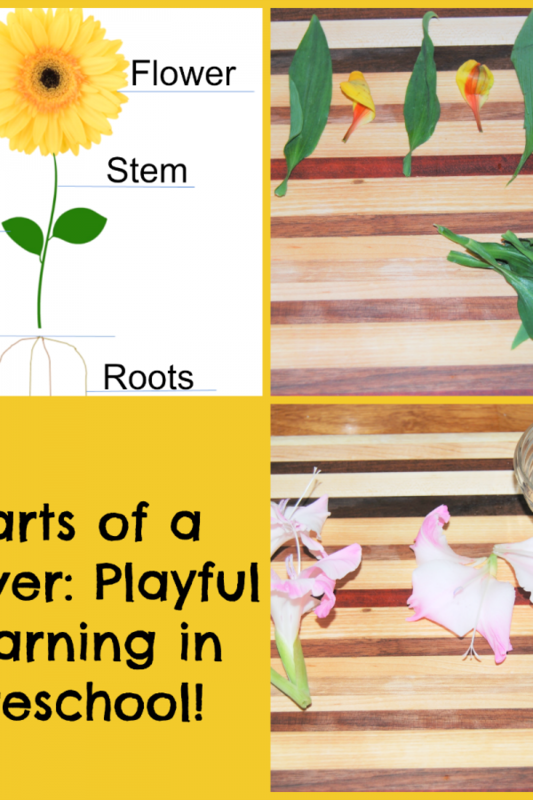 Playing with flowers is one of the best ways to encourage learning with … [Read more...] about Parts of a Flower: Playful Learning Flower Centers for Preschoolers! ABC's and 123's Book for Playful Learning As an educator for 33 years, I've often fielded questions from parents and colleagues about appropriate ways to introduce literacy and math concepts to preschoolers. 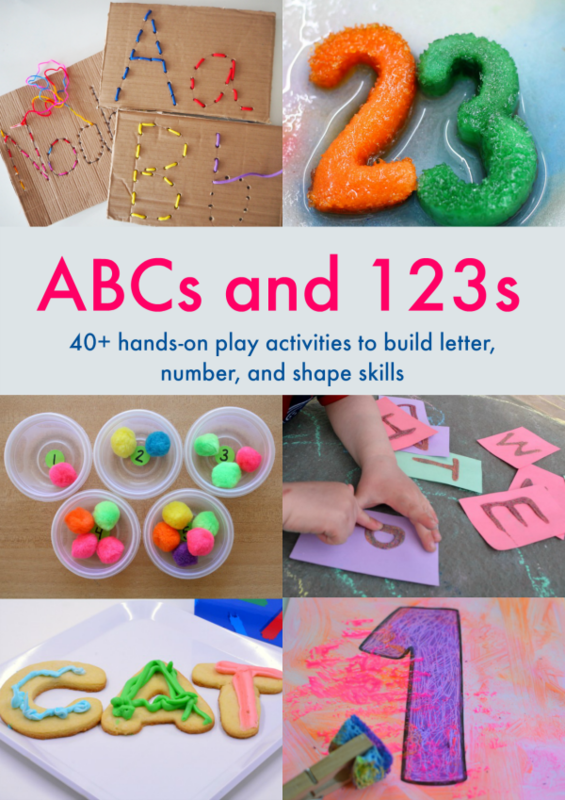 I'm honored to co-author the ABC's and 123's Book to guide parents and teachers toward developmentally appropriate practices for playful learning with their own kids at home or in the … [Read more...] about How Do I Introduce the ABC’s and 123’s to Preschoolers? 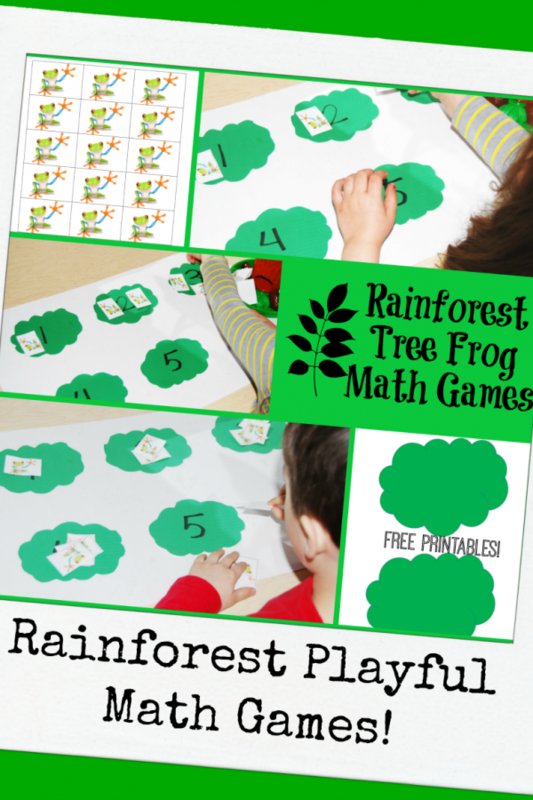 Rainforest Tree Frog Math Games for Preschoolers! If you are new to the Wednesday #TeachECE series, we WELCOME you! Each week, we partner with other early childhood professionals to offer playful learning activities centered around a weekly theme. This week, activity suggestions revolve around a RAINFOREST THEME. Come play to learn in preschool with FUN Tree Frog Math Games to encourage developing skills!Rainforest Tree Frog Math Games … [Read more...] about Rainforest Tree Frog Math Games for Preschoolers! If you are new to the Wednesday articles from the #TeachECE Team, we wish you a warm WELCOME! Every week, we partner with some amazing blogs to bring YOU new ideas for playful learning at home or for use in the classroom. This week's activities are centered around a MITTEN THEME for preschool. 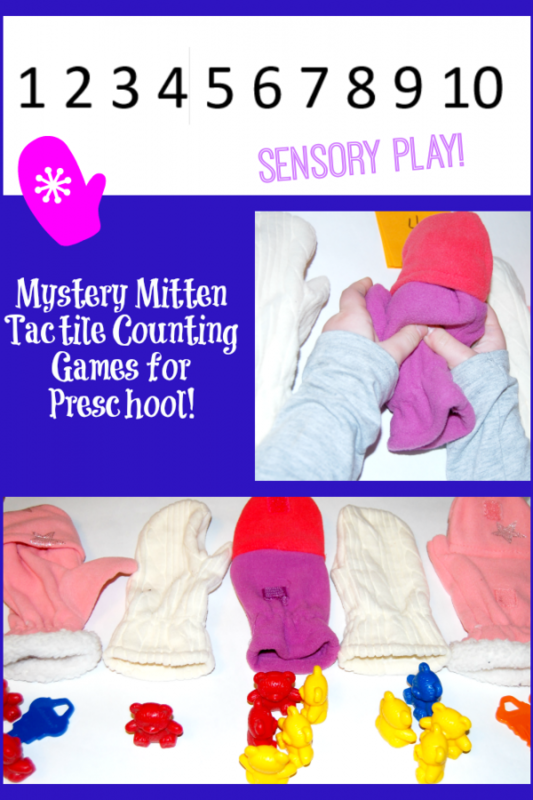 Gather some real mittens and come play a tactile mystery mitten counting game to encourage early math … [Read more...] about Mystery Mitten Tactile Counting Game for Preschool!